Poker Metagame | What Is The Meta Game In Poker? Metagame is often referred to as the “game within the game”, where you make a play or decision that has been influenced by external knowledge rather than based on fundamental strategy alone. To put it another way, every time you make a play that goes against (or ignores) basic mathematical strategy in poker, chances are that you are utilizing meta game strategy. 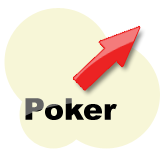 The poker metagame is the "game within the game", which focuses on information other than cards, chips and bet sizes. The Poker meta game is not about the cards, the size of the bets or the stack sizes. The poker meta game is more of a “thinking man's poker”, where you consider the potential results of your actions and the general gameplay to help you make the most profitable decisions at the table. Awful diagram I know. But hopefully it helps to push the idea that the metagame is all the stuff that takes place in the minds of the players and away from the "physical" aspects of play. Lets say that you have been playing at a table for a short period of time and you are playing a hand against an opponent who you know very little about. For whatever the reason, you are at the river with a mediocre hand facing a moderately sized bet. Either way, you are confident that over the long run, basic poker mathematics suggests that making the call would be an unprofitable play. We get to see our opponent's cards. We give ourselves a loose table image. Being able to see our opponent's cards in this hand may well prove to be very handy for us, as it allows us to see what type of player our opponent is. We can then use this information on them to make better decisions in future hands because we have a better knowledge of their style of play. In addition to this, by making quite a weak play, we may well give the impression that we are a poor player that calls down river bets with marginal hands. This could prove to be beneficial in future hands as our opponent may decide to show less respect to our bets, allowing us to potentially take down bigger pots later on down the line. So even though we made a play that was unprofitable based purely on the mathematics of the situation, the repercussions of that particular play may well make up for this small loss through bigger wins in future hands. This may well have been something that you have thought about before, and it is essentially what the poker meta game is all about. An unprofitable play in one hand may well set you up for greater wins in a later hand due to the metagame. A few important metagame points. Don't use it as an excuse to make bad plays. The Poker Metagame changes with time. Metagame plays are used more frequently against familiar players. Although the above example highlights how making a slightly “less profitable” play could pay off in the future, it should not be used as an excuse to regularly make poor decisions when you're playing poker. Neither should you look to go out of your way to intentionally make unprofitable plays with the loose hope of creating an image that will pay off on future hands. Every now and then a metagame-style situation will crop up and make itself apparent, so don't fret about searching for it too much. The meta game in poker is always changing. For example, when Doyle Brunson first wrote the book “Super System”, it contained top notch strategy for NL Holdem at the time it came out. However, over the years players have become more aggressive, and so the general style of play advocated in the book will not be as profitable as it once was. In general, meta game plays are going to be more effective against opponents that you have played against regularly and have a history with. This is because of the fact that you will have an understanding of the way your opponent plays, and so you will know “what makes them tick” and how to combat their style of play. Although the meta game approach can be used against players you are unfamiliar with (for example, betting against players with mediocre to strong hands at lower limits because they tend to call more often with weak holdings), it is going to play a bigger role in your decisions against players who you have sat down with at the tables before.